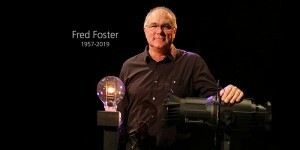 USA – Fred Foster, ETC co-founder and CEO has passed away at the age of 61. Foster was a visionary, an innovator, and a role model. The ETC culture of family, support, and encouragement is attributed to Foster and his vision of creating a people-focused environment. It’s difficult to put into words what it has been like to work for and with such an inspiring leader. One of Foster’s greatest qualities was his ability to bring people together and rally them around a goal or a vision. Whether it was a new product technology, a trade show booth design, or an employee meeting space, he was always creating, always making, and always giving. His ideas were big, and his heart bigger. Foster is credited with countless industry contributions ranging from product innovations to student mentorship programmes. He has been recognised repeatedly for his philanthropy from a number of organisations. Foster announced his cancer diagnosis in the summer of 2015 and went through extensive treatment to prolong his life. Those who knew him best would confirm he was a nature lover and enjoyed activities such as pond yachting and downhill skiing. He died peacefully surrounded by family and loved ones. Both of his children, daughter Kate Foster and son James Foster, as well as his wife, Susan Foster, are employed at ETC.